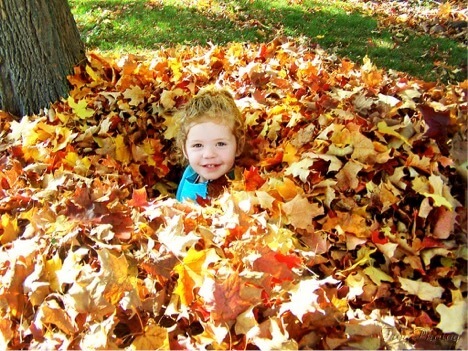 Autumn brings with it cool weather, apple cider and tons of activities nannies can do with kids. Many of these activities can also be completed outside while you view the red, orange and yellow landscape surrounding you. If your housekeeper isn’t performing up to par, sit down and create a plan with him or her. Write down goals, responsibilities and expectations. For example, maybe you would like the rugs in your home vacuumed twice a week. However, if you have a lot of rooms that have obstacles, like furniture or the kids’ toys on the floor, these obstructions might impede the housekeeper from performing quickly. Instead, you could cut it down to once a week to ensure he or she does a thorough job. There’s no better way to celebrate autumn than by pumpkin carving. There are many types of sketches you can purchase to help you form amazing designs. Or, each child can use their creative imagination to create their own image. Just ensure pumpkins are carved with regulated pumpkin-carving kits and that only children 14 and older handle the tools. Acorns and brightly colored leaves make great decorations for any piece of art! In fact, by the time children are done creating their masterpiece, it may rival the autumn scenery outside. Idea 1: Collect acorns and provide each child with a piece of paper. It’s a good idea to ensure the paper has edges or is done where the acorns can’t fall off the table. Place blobs of red, orange, yellow and gold paint all around the paper and let the children roll the acorns all over the page. Idea 2: Collect leaves outside and make your own tree. Provide each child with a large piece of paper and have them draw the outline of a tree on it. Then have them glue the leaves to each branch. There’s no better way to relax after a long day at school than by jumping in the leaves. However, remember to keep kids safe by picking up toys and items in the yard before it’s raked. This will ensure they don’t accidentally hurt themselves or trip over hidden objects. If you’re interested in hiring a nanny or looking for a nanny position, contact The Hazel Agency today!